Orion Group specializes in placing candidates in a range of contract and permanent positions, predominantly across the oil and gas sector. Based in the UK, with nine offices nationwide and a further 19 worldwide, this recruitment agency has over 280,000 candidates on their database, and places candidates in roles all over the world. 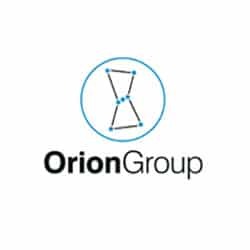 Orion’s 120 consultants worldwide previously specialized in dealing with contract vacancies, although placing candidates in permanent roles has recently become a major focus. Since purchasing Bond Adapt from Bond International Software nine years ago, Orion Group has been awarded the prestigious Queens Award for Enterprise in the international trade category and in 2010 were placed 1st for engineering recruitment in the ‘Recruitment International Magazine’ poll. As a partner of Bond International Software PLC for many years, DaXtra has developed a number of products that work seamlessly with Bond Adapt. Orion Group had a substantial administrative team spread across their office network whose main responsibility was to process CVs and enter them onto the Bond Adapt system. What Orion wanted to do was find a way to streamline these work processes to free up the administrative staff to work on other projects, allowing the recruitment consultants to focus on placing candidates. A decision was taken to enhance the already implemented Bond Adapt system with DaXtra products. These products included DaXtra Capture and DaXtra Search. DaXtra Capture is a fully automated workflow process designed to fully automate routine administration tasks such as CV acquisition and processing as well as de-duplication and data-entry. Implementing DaXtra Capture is guaranteed to save you time, reduce overhead costs and increase staff productivity. DaXtraSearch is a sophisticated search and matching solution that ensures your business finds the right candidates intuitively and flexibly. Using the latest Natural Language Processing technology, it is designed to accurately retrieve relevant candidate records and CVs from in-house recruitment databases, such as Adapt. Additionally, DaXtra Search links in-house systems with all online CV databases where you hold valid accounts, such as job boards and social networking sites, enabling a single point of access to all your candidate sources simultaneously. It also offers a simple and intuitive way of sifting, locating relevant CVs and facilitating short-listing and their automatic profiling directly onto your database or recruitment management system. The integration of Daxtra products with Bond Adapt allows Orion Group consultants to access and search the same data from one central system, no matter where they are based in the world. This has proven to be far quicker than a paper based filing system, so making the overall recruitment process far more efficient and timely. The combination of all these factors has resulted in Orion Group seeing annual global savings, which equate to over £1,000,000. Sergei Makhmodov, Commercial Director at Daxtra Technologies, comments, “Some of our clients have reported savings of over 90% of the cost they had previously spent on CV processing and data entry after deploying the DaXtra Capture product. Orion Group has achieved dramatic cost savings through the integration of DaXtra’s products with their Adapt system, and this is a clear testament to the success of our partnership.